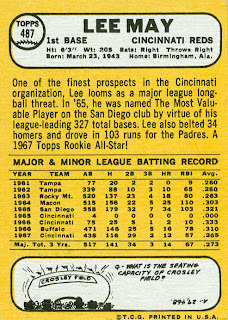 Lee May was signed by the Reds in 1961, and played for 6 seasons in their farm system, mostly at first base, with a few games as an outfielder in 1964 and 1965. Those 2 seasons were big for May, as he batted over .300 and collected over 100 RBI each year. He also hit 25 and 34 homers, respectively. 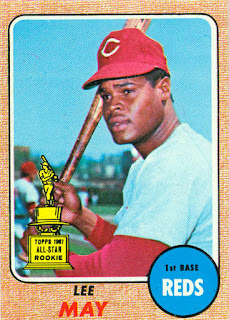 Lee got a big-league cup of coffee in 1965 and another 25 games in 1966, before making the Reds for good at the start of 1967. 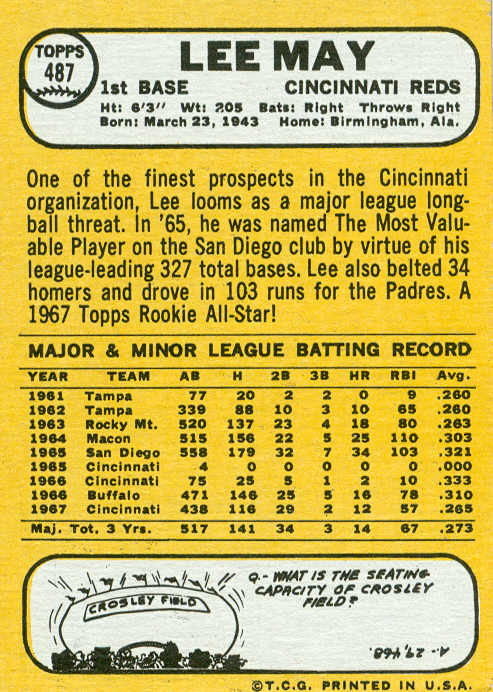 I always thought the arrival of Lee May in 1967 set the Reds' defense in shuffle mode: Tony Perez from 1B to 3B, Tommy Helms to 2B, and Pete Rose to the outfield. In fact, Helms and Rose had moved at the start of the season, before May cracked the starting lineup, (with Deron Johnson coming in from left field to play 3B). In early May, Perez moved from 1st to 3rd, with Johnson and May alternating chunks of games as the starting 1st baseman. 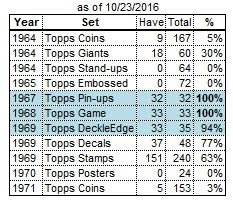 (Lee also spent about a month in left field, with Rose returning to 2B and Helms to shortstop during Chico Cardenas' trip to the DL.) 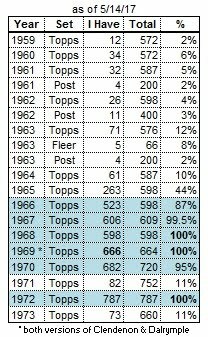 By the time the season was over, May had started 68 games at 1B and 47 in the outfield. Things settled down defensively in 1968. In the off-season, Johnson was traded to Atlanta which opened up a full-time 1st base job for May. Lee began a string of 11 very productive seasons. 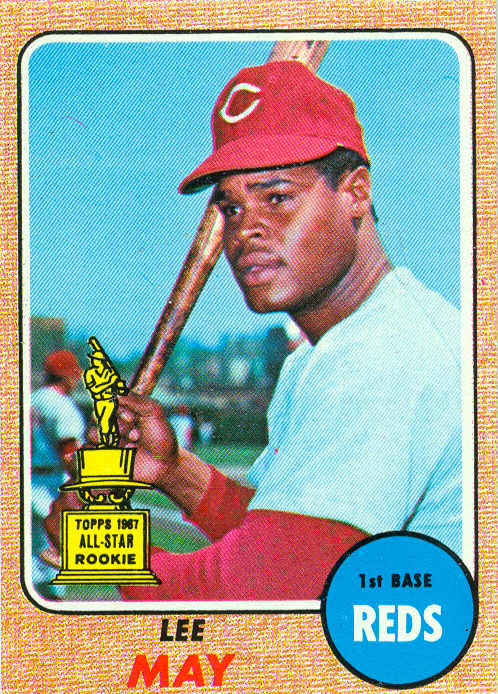 He was with the Reds through 1971, then 3 seasons with the Astros (sent there in the Joe Morgan trade), before settling in Baltimore in 1975. May was the Orioles' 1st baseman in his 1st season there, then eased into the DH role in '76 and '77 before becoming the full-time DH in '78 and '79. In his last 3 seasons, May was relegated to a part-time role, the final 2 with Kansas City. Lee retired after the 1982 season. His brother Carlos was the White Sox' regular left fielder during the early 1970s.